Kanta Singh is a development professional with over 25 years of experience in the management of pro-poor, pro-women development programmes.. Throughout her career in multi-cultural settings, she has advocated and lobbied to influence policies. Programmes and budgets in favour of women and girls. 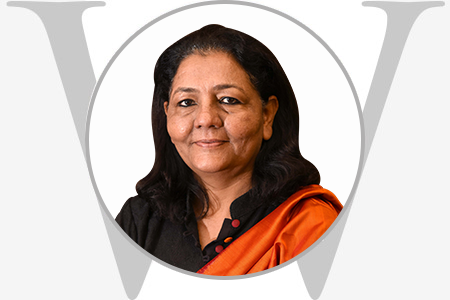 Previously, Dr. Singh has been associated with WomenPowerConnect (WPC), International Foundation for Electoral Systems (IFES), Women in Sustainable Enterprises (WISE) and Center for Social Research (CSR). ). Kanta has worked extensively to promote women in sports, politics and in public spaces. Currently, she is the Gender Lead in UNDP and is State Project Head for Disha. She believes that economic independence is key to improve women’s position in the world.